Living and working with the Rocky Mountains in your backyard. What could be better than living, working and playing in an area with the Rocky Mountains in your backyard? Perhaps the only thing that could top that would be doing it while working for the region’s most dynamic door, hardware and security integrator. Doorways is looking for Project Managers at our offices in Denver and Cheyenne. 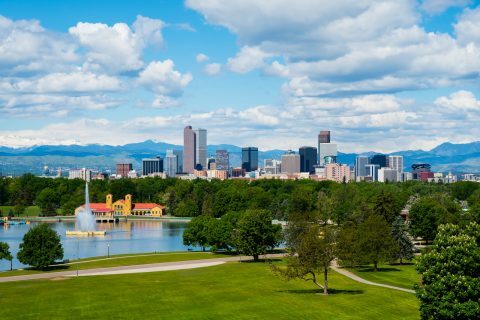 Both the Mile High City and the Magic City of the Plains are some of the most desirable locations to live in the entire United States. Both cities offer cultural amenities to rival the most cosmopolitan locations. Botanic gardens, museums, and the performing arts are available and second-to-none. Then there is the more traditional Western events like Cheyenne Frontier Days and the National Western Stock Show. You of course also have what is arguably the biggest reason to want to live here – the Great Outdoors. You’re a short drive from Rocky Mountain National Park and Yellowstone National Park with their stunning wildlife, breathtaking scenery and world-renown hiking. Backpacking, camping, boating, hunting, white-water rafting and of course skiing are just some of the activities readily available. You will work for a sought-after employer known for stimulating opportunities, and a positive work environment where employees feel challenged, engaged, and accomplished. Employees genuinely care about fellow colleagues and the clients we serve, and team members are inspired on a daily basis to challenge themselves and make valuable contributions to an innovative and growing company. At Doorways we work hard but we also play hard. 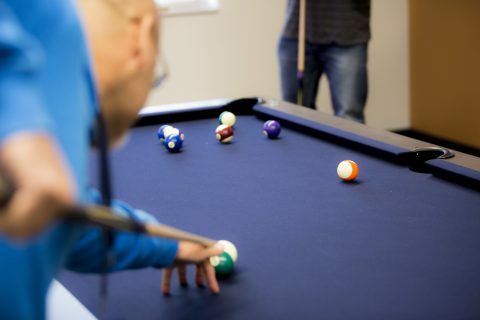 Once your workday is done you could head to our extraordinary employee lounge and join in a round of pool, shuffleboard, bubble hockey or even play Call of Duty on our gaming system. Prefer to let off some steam in a more physical fashion? Our fitness room features treadmills, elliptical machines, a rowing machine, Peloton bikes and a multi-gym. Naturally we also offer industry leading compensation packages including healthcare, paid holidays, vacation, sick leave and a retirement plan. Last but not least, don’t forget half-day Fridays! Yes our team members work hard but we also reward that hard work. Ideally you have experience in the industry, are proficient in project management and have used Comsense OpeningSuite. However, with industry-leading experts and a corporate trainer on staff, even if you have limited experience we have the systems and structure in place to take your career to the next level. What else do you need to know? Begin your Doorways career now! Learn more and apply here.